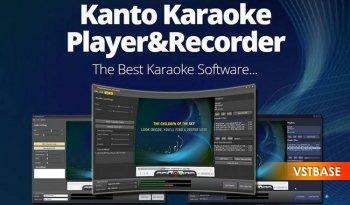 Kanto Karaoke supports all multimedia formats : MP3, Mid, Kar, Mp3 + Cdg , karaoke videos ( . Avi, .Wmv, .Mp4, etc …) . To start doing karaoke and sing on any track just click on the button “Quick Open File” and select the song to be played. It will appear the screen with the words of the song and you could start to sing!